Seventeen years ago today, the world lost an icon—a rock god who never saw his own potential. 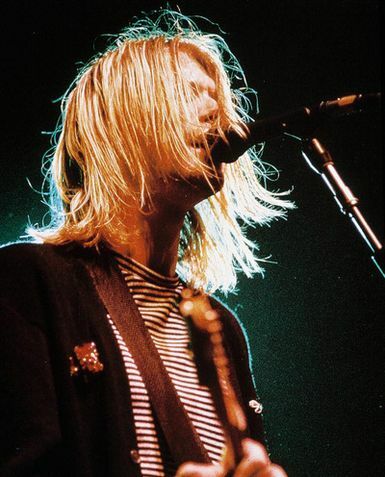 Kurt Cobain, lead singer of grunge band Nirvana, was found dead in his Seattle home on April 8, 1994, of a gunshot inflicted wound to the head. It was estimated by police that the singer died three days earlier and had ruled the death a suicide. He was 27-years-old. Though Nirvana reached unsurmountable success and fame in the early '90s with hits like "Come As You Are" and "Smells Like Teen Spirit" from Nevermind—a beloved album in its own right—Cobain sunk further and further into depression and often cited childhood and worldly troubles in his lyrics. At the scene of his death, Cobain left a suicide note, which can be read HERE. His survivors were wife Courtney Love and daughter Frances.